When Dr. Kyle was 8 years old, his father was injured and developed a nerve disease. Visiting various medical professionals influenced Dr. Kyle and he knew early in life that he would work in the medical field. As he was preparing to take the MCAT to enter medical school, he decided to investigate a little more, to be certain of his path. When his grandmother suggested visiting a chiropractor, Dr. Kyle felt unsure. He’d been to the chiropractor once before when he fell off a trampoline and had back pain but didn’t understand what the chiropractor did. The young, energetic doctor he met was passionate about what he did and gave Dr. Kyle a book that would transform his life: It Is As Simple As That & More by Dr. Fred Barge. The chiropractic teachings it contained aligned completely with everything Dr. Kyle believed about the body: that it was self-healing, didn’t need outside interventions to be well and wouldn’t require medications to stay healthy. I knew then that I wanted to help people get well without resorting to drugs and surgery. After earning a Doctor of Chiropractic at Palmer College of Chiropractic, Dr. Kyle began practicing and seeing practice members of all ages. Feeling fortunate to have had a happy, healthy childhood, he developed a passion for pediatric care and is a member of the International Chiropractic Pediatric Association and Epic Pediatrics. 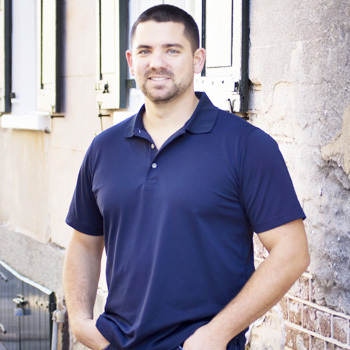 Dr. Kyle broadens his chiropractic horizons by taking regular courses each year on topics such as Chiropractic BioPhysics® and other techniques, ensuring he has many methods to take exceptional care of his practice members. 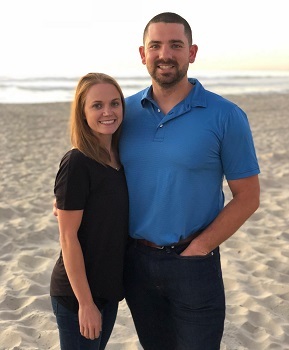 Outside of the office, Dr. Kyle enjoys spending time with his wife, who works as an RN birth assistant at a local freestanding birth center, and their two young daughters. They made a move to Charleston from their home in the Midwest and enjoy the sunny weather, fishing, going to the beach and exploring different areas of town. If you’d like to experience better health, naturally, contact Foundation Family Chiropractic to book an appointment with Dr. Kyle!